Cass students reflect on diversity in first of its kind student essay competition. 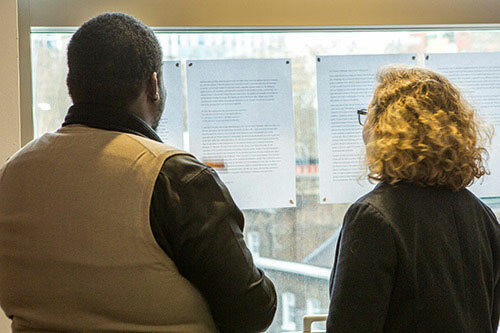 Cass students were invited to take part in an inaugural essay competition, where they were tasked with writing about their experiences of multicultural life at Cass and in London. There were 26 entries into the competition, and of those, 19 nationalities and 10 degrees were represented. 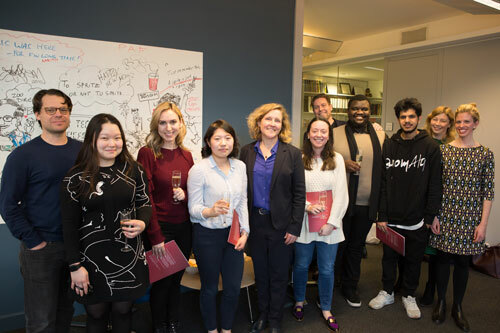 The essays were then judged by a panel including Professor Marianne Lewis, Dean of Cass, Professor Andre Spicer, Professor of Organisational Behaviour, Dr Sarah Wood, Co-Founder and Chair of Unruly and Laura Di Giuseppe, Brand Manager at HarperCollins. Aadit Shah’s, (BSc Business Studies), took home first prize on the day. In his essay, Aadit provoked discussion around the question ‘where are you from,’ as he drew on his own experiences of growing up in multicultural South London with Indian parents. Daniela Chen, (BSc Investment and Financial Risk Management), essay on openness in London came second and Taylor Block, (MSc Marketing, Strategy and Innovation), essay on admitted biasness rounded up the final three. Aadit Shah said: “I wrote my essay about a dilemma that I think a lot of young people growing up in London experience. If you are someone from a diaspora you do have two identities and when you hear the question, ‘where are you from,’ it is the most baffling thing as there are so many variations of you that could answer. “Diversity is one of the best things about education and I feel inspired when hearing people talking about multiculturalism. It can be difficult in language barriers, but having all of these different people with you throughout your degree makes you appreciate everything a lot more. Professor Marianne Lewis, said: “I loved the essays that we received. It is vital that we hear student voices, helping us learn from their experiences so that we can continuously enhance inductions to Cass and further student support. “Indeed the writing was beautifully varied and authentic; reflections that evoked rich imagery and emotions. You cannot glean such insights from a typical structured essay. Sometimes you need to let creativity flow.